Established in 1992, Stewart Independent Financial Advice Limited is a firm of independent financial advisers based in Bridge of Weir. We provide unbiased financial and mortgage advice to clients throughout central and west Scotland. Within the financial services industry and amongst our client base we have gained an enviable reputation for providing a high quality personal service. 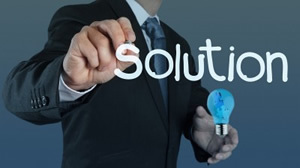 As independent financial advisers we are not tied to a single product provider, which means we can provide advice that is completely impartial. Whatever products are available on the market we will find the best deal for you. Together, we can look at your financial objectives and work out ways to achieve them utilising all of the very latest products and services available through Stewart Independent Financial Advice Limited. We also offer a separate property letting and management service through Lind Letting, also based in our Bridge of Weir office. 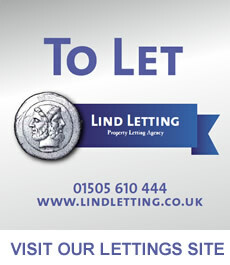 For further information please contact us on office@lindletting.co.uk. For mortgages we typically charge a fee of £200 plus commission. We can also work on a fee only basis of 0.5% of the loan amount and rebate any commission. Some forms of Inheritance Tax Planning is not regulate by the FCA. Lind Letting and the services it supplies are not regulated by the Financial Services Authority. Stewart Independent Financial Advice Limited is authorised and regulated by the Financial Conduct Authority (FCA) and entered on the FCA register under reference number 441394. Stewart Independent Financial Advice Limited is registered in Scotland 5 Windsor Place, Main Street, Bridge of Weir, Renfrewshire, PA11 3AF. Company no SC234873.